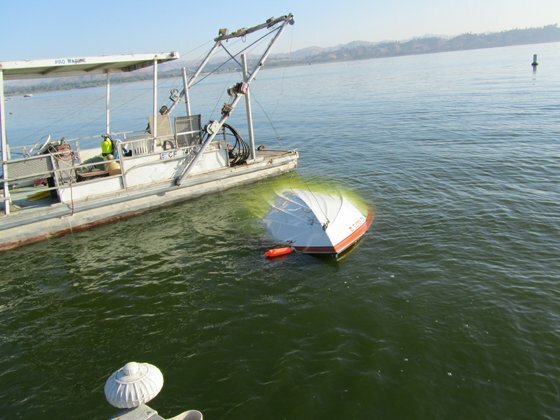 Lake Elsinore Marine offers sunken boat recovery services. 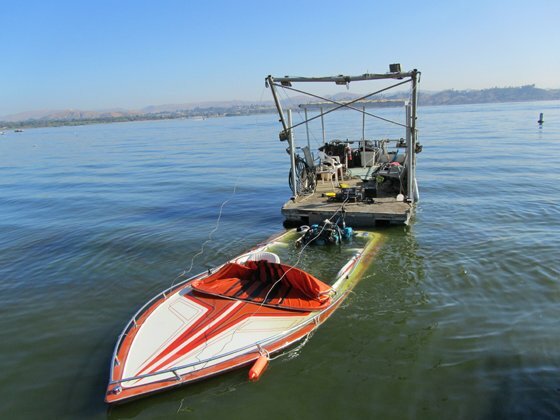 If your boat happens to sinks at the dock or in the middle of the lake, we have the skills and equipment to locate and retrieve your boat in both deep and shallow water. 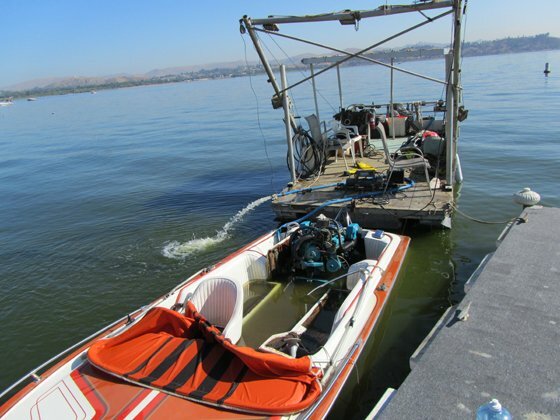 With a specially equipped boat fitted with a side scan sonar, electrical and hand winches and a boom, we are able to attach lines to your boat, raise it to the surface and pump out the water with a minimum of damage.